Wandering Tree Estate offers exclusive use of the property for you and your guests during your event. 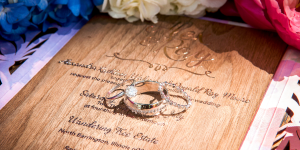 Customize your wedding to your heart's content. Learn more about weddings by clicking here. Our Estate is perfect for one of a kind corporate events. 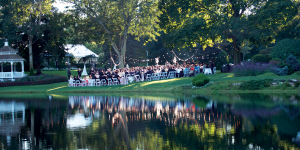 Our expansive 10 acre outdoor space is ideal for events large or small. There is even an indoor space for private meetings. To learn more about corporate events at Wandering Tree Estate click here. 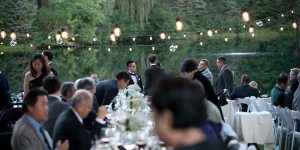 The inviting atmosphere of Wandering Tree Estate will make special occasions like these unforgettable. With 10-acres of stunning prize winning gardens all to yourself there are limitless possibilities. Click here to learn more. The estate is available for a variety of parties including, but not limited to: birthday parties, bridal showers, graduation parties, and even holiday celebrations. You and your guests will be able to enjoy the privacy of 10-acres of award winning gardens all to yourselves. To find out more about private parties at Wandering Tree Estate click here.